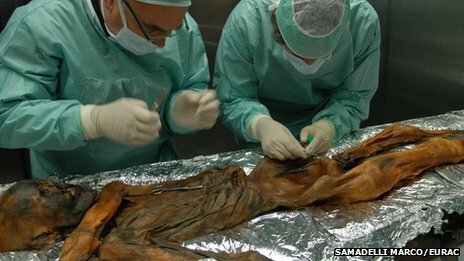 New clues have emerged in what could be described as the world's oldest murder case: that of Oetzi the "Iceman", whose 5,300-year-old body was discovered frozen in the Italian Alps in 1991. Oetzi's full genome has now been reported in Nature Communications. It reveals that he had brown eyes, "O" blood type, was lactose intolerant, and was predisposed to heart disease. Washington: An international team of researchers, studying ancient DNA, have suggested that most Neanderthals in Europe already were largely extinct 50,000 years ago - long before modern humans first arrived in the continent. The findings contradict the long-held notion that Neanderthal populations were stable in Europe for hundreds of thousands of years until modern Homo sapiens arrived. The scientists say the Neanderthal human species already had died off as early as 50,000 years ago, but a small group recovered and survived for another 10,000 years in areas of central and western Europe before modern humans entered the picture. DNA analysis suggests most Neanderthals in western Europe died out as early as 50,000 years ago - thousands of years before our own species appeared. New findings from an international team of researchers show that most neandertals in Europe died off around 50,000 years ago. The previously held view of a Europe populated by a stable neandertal population for hundreds of thousands of years up until modern humans arrived must therefore be revised. This new perspective on the neandertals comes from a study of ancient DNA published today in Molecular Biology and Evolution. The results indicate that most neandertals in Europe died off as early as 50,000 years ago. After that, a small group of neandertals recolonised central and western Europe, where they survived for another 10,000 years before modern humans entered the picture. The study is the result of an international project led by Swedish and Spanish researchers in Uppsala, Stockholm and Madrid. "The fact that neandertals in Europe were nearly extinct, but then recovered, and that all this took place long before they came into contact with modern humans came as a complete surprise to us. This indicates that the neandertals may have been more sensitive to the dramatic climate changes that took place in the last Ice Age than was previously thought", says Love Dalén, associate professor at the Swedish Museum of Natural History in Stockholm. Newly published results from an international team of researchers show that most of an earlier population of Neanderthals in Europe had already died off around 50,000 years ago. Previously, the established view was of a stable Neanderthal population in Europe from nearly 250,000 to 30,000 years ago and then they disappeared from the archaeological record after modern humans arrived, however this new research suggests the accepted paradigm must be revised. This new perspective on the Neanderthals comes from a study of ancient DNA published today in Molecular Biology and Evolution. The results indicate that most European Neanderthals had died off as early as 50,000 years ago. After which, a smaller group of Neanderthals recolonised central and western Europe, where they survived until modern humans entered the picture. A "significant discovery" of a Bronze Age artefacts in Carmarthenshire have been recorded as treasure. 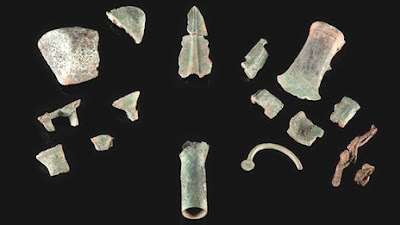 The hoard of 13 bronze items found in a field at St Ishmael, near Kidwelly, last June, included a bracelet, fragments of a spearhead and an axe. The artefacts are thought to have been buried around 1000 to 800 BC, and were declared treasure by the Carmarthenshire coroner on Friday. Work on an 8,000-year-old Stone Age settlement under the surface of the Solent in Hampshire is throwing up evidence of clear parallels of the modern "high street", archaeologists say. After 30 years of excavating the area around Bouldnor Cliff, a boatyard was uncovered last summer, which teams have been working on ever since. Since The Hampshire and Wight Trust for Maritime Archaeology spotted a swamped prehistoric forest in the 1980s, the Stone Age village was found by chance at the end of the last century. Divers taking part in a routine survey spotted a lobster cleaning out its burrow on the seabed and to their surprise the animal was throwing out dozens of pieces of worked flint - which turned out to be the first sign of the village. A multimillion pound windfarm could be scrapped after a Stone Age monument was spotted on the site using Google Earth. Work to install the 15 wind turbines had already began after experts said they were unable to find anything of historical interest on the mountaintop in Carmarthenshire, Wales. But a weekend rambler stumbled upon a row of stones while trekking across the site on the mountain and realised they were of historical interest. Archaeologists were called in and discovered the stones on Mynydd Y Betws were between 3,500 and 5,000 years old and could have been part of an ancient site of worship. THE man who discovered the Neolithic stone row on Betws Mountain has told how the historic find came within 20 minutes of being destroyed. Freelance archaeologist Dr Sandy Gerrard said a digger working on the construction of the 15-turbine MynyddyBetwswindfarm had to be halted in its tracks. “Asit is, the rowhas been cut in two places by the windfarm access road. We have seen cave paintings where the splashy red pigment was used to create images by ancient humans in present-day Europe tens of thousands of years ago. Scientists have said that ancient humans used it generally in Europe about 40,000 - 60,000 years ago, in West Asia as long ago as 100,000 years, and by the ancients in Africa as long ago as 200,000-250,000 years. Now, a new study suggests that Neanderthals were also using it in the present-day Netherlands region of Europe as far back as 200,000-250,000 years ago, if not earlier. The study, conducted by a team of scientists led by W. Roebroeks of Leiden University, examined and analyzed a sample of red material retrieved from excavations originally conducted during the 1980's at the Maastricht-Belvédère Neanderthal site in the Netherlands. The excavations exposed scatterings of well-preserved flint and bone artifacts that were produced in a river valley during the Middle Pleistocene full interglacial period. During the coarse of the excavation, soil samples were also collected, a typical procedure when excavating a site. Within the soil samples were traces of a reddish material. The samples were subjected to various forms of analyses and experimentation to study their physical properties. They identified the reddish material as hematite, a common mineral form of iron oxide that was used for pigmentation by prehistoric populations. Time Team has been thrown into disarray after Mary-Ann Ochota became the second presenter to leave the Channel 4 archaeological programme. Mary-Ann Ochota, 30, who holds a master’s degree in archaeology and anthropology from Cambridge University, has left the show after a row with Prof Mick Aston, the archaeologist. Her leaving the show comes after Prof Aston, 65, also quit the show after producers hired Ms Ochota, a former model, as the programme’s co-presenter with Tony Robinson. Prof Ashton, who has been on the show for 19 years, said he had been left “really angry” by changes which led to the introduction of co-presenter and some archaeologists being axed. As expected, a wishy-washy response - but the more people who write in, the better! Thank you for contacting Channel 4 Viewer Enquiries regarding TIME TEAM. We are sorry to hear that you are unhappy with the new format of the show and that Prof. Mick Aston has decided to leave. We are saddened by Mick 's decision to leave, he has been a fantastic member of the Time Team team and we wish him well in the future. Please be assured your complaint has been logged and noted for the information of those responsible for our programming. As an ice age crept upon them thousands of years ago, Neanderthals and modern human ancestors expanded their territory ranges across Asia and Europe to adapt to the changing environment. In the process, they encountered each other. Although many anthropologists believe that modern humans ancestors "wiped out" Neanderthals, it's more likely that Neanderthals were integrated into the human gene pool thousands of years ago during the Upper Pleistocene era as cultural and climatic forces brought the two groups together, said Arizona State University Professor C. Michael Barton of the Center for Social Dynamics and Complexity and School of Human Evolution and Social Change. "The traditional story in textbooks doesn't fit well with what we know about hunter-gatherers. For the most part, they don't like to go far from home. It's dangerous," Barton said. Mick Aston, the archeologist, has quit Time Team after producers hired a former model as the programme’s co-presenter. The 65-year-old, who has been on the show for 19 years, said he had been left “really angry” by changes which led to the introduction of co-presenter Mary-Ann Ochota and some archaeologists being axed. He was responding to changes first proposed by producers at Channel 4 in late 2010, which included a new presenter to join Tony Robinson and decisions to “cut down the informative stuff about the archaeology”. Click here to contact Channel 4 to tell them what you think of their decision. There is plenty of dispute about what gave these people such an advantage—language, some other form of mental ingenuity, or the collective knowledge that comes from exchange and specialization—but there is also disagreement about when the exodus began. For a long time, scientists had assumed a gradual expansion of African people through Sinai into both Europe and Asia. Then, bizarrely, it became clear from both genetics and archaeology that Europe was peopled later (after 40,000 years ago) than Australia (before 50,000 years ago). Archaeologists are notoriously nervous of attributing ritual significance to anything (the old joke used to be that if you found an artefact and couldn't identify it, it had to have ritual significance), yet they still like to do so whenever possible. I used to work on a site in the mid-1980s – a hill fort in Gloucestershire – where items of potential religious note occasionally turned up (a horse skull buried at the entrance, for example) and this was always cause for some excitement, and also some gnashing of teeth at the prospect of other people who weren't archaeologists getting excited about it ("And now I suppose we'll have druids turning up"). The Brodgar complex has, however, got everyone excited. 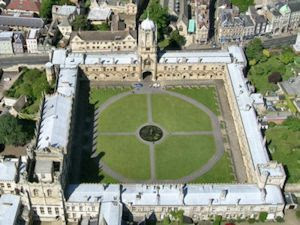 It ticks all the boxes that make archaeologists, other academics, lay historians and pagans jump up and down. Its age is significant: it's around 800 years older than Stonehenge (although lately, having had to do some research into ancient Britain, I've been exercised by just how widely dates for sites vary, so perhaps some caution is called for). Pottery found at Stonehenge apparently originated in Orkney, or was modelled on pottery that did. For the first five years of life, human cognition slowly comes to fruition, receiving and storing information and experience from the environment and enabling humans to advance beyond the capabilities of their primate cousins, according to a study published online in Genome Research. An international team of researchers have identified extended synaptic development in the prefrontal cortex of the human brain that sheds new light on the evolution of human cognition and suggests another reason why the human family diverged from other primates 4-6 million years ago. "Why can we absorb environmental information during infancy and childhood and develop intellectual skills that chimpanzees cannot?" asks study author Dr. Philipp Khaitovich of the Chinese Academy of Sciences and the Max Planck Institute for Evolutionary Anthropology. "What makes the human brain so special?" Ever wondered what it was like to endure an Iron Age winter? Five students in the small Baltic state of Estonia, who have abandoned modern conveniences for a week in a replica wooden hut built on the site of an ancient hill fort, have discovered that Iron Age accommodation was mainly cold, dark and smoky. "You can't heat and be in the building and after dark there is no light," said Kristiina Paavel, 24, one of the students.